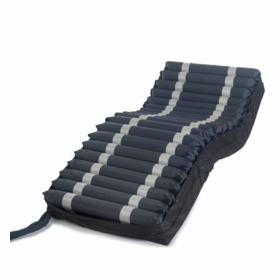 An alternating pressure mattress works on a simple, but ingenious principle. 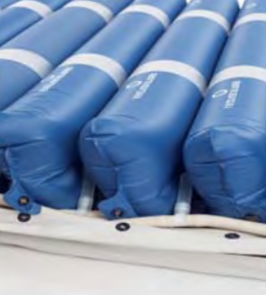 alternating pressure mattress systems are composed of several air cells, or bladders. These cells inflate and deflate on a timed schedule, thereby alternating where pressure points occur on the body. When the cell under the patient deflates, that body part is relieved of any pressure, allowing for increased blood flow. The pressure is transferred to the parts of the body resting on inflated cells. As the cycle of inflation and deflation is carried out, no body part experiences too much pressure for too long. Relieving that pressure is the key to treating and preventing pressure ulcers, or bedsores. With regular �breaks� from the natural pressure that gravity exerts on the body, the skin has a chance to breathe, blood has a chance to flow, and pressure ulcers are avoided and healed. 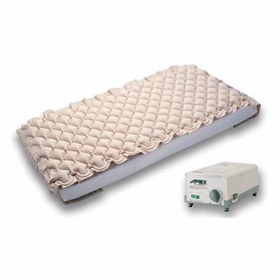 Alternating Pressure Pads: An overlay mattress that is designed to be used with the patients existing bed. These are normally used for prevention and basic healing. Alternating Pressure Overlays: These overlays are usually 5" thick and still work with an existing bed. They last longer than the pressure pad systems. They offer more pressure relief and some models offer a low air loss feature. 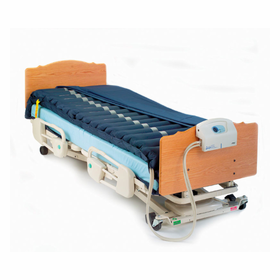 Alternating Pressure Mattresses Long Term Care: These alternating pressure mattresses come with additional features for patients who require a long term care solution. 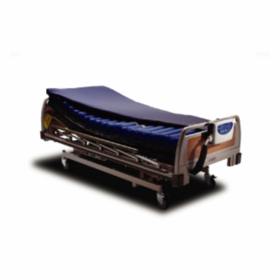 24/7 Long Term Care products can include a mattress that remains inflated in the event of power failure, adjustable cycles for advanced healing and pain management, seat inflation, and panel lock out. 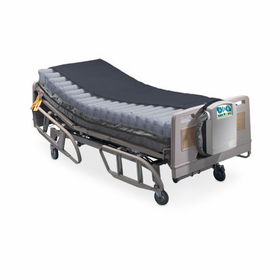 Bariatric Alternating Pressure Systems: Mattresses with a wider or heavier weight capacity, includes products that work with an existing bed frame or full and queen sizes.